The following text is taken from Chapter Nineteen of Graham Pitchfork’s seminal history of Naval 8 / 208 Squadron RAF, and is reproduced with his kind permission. 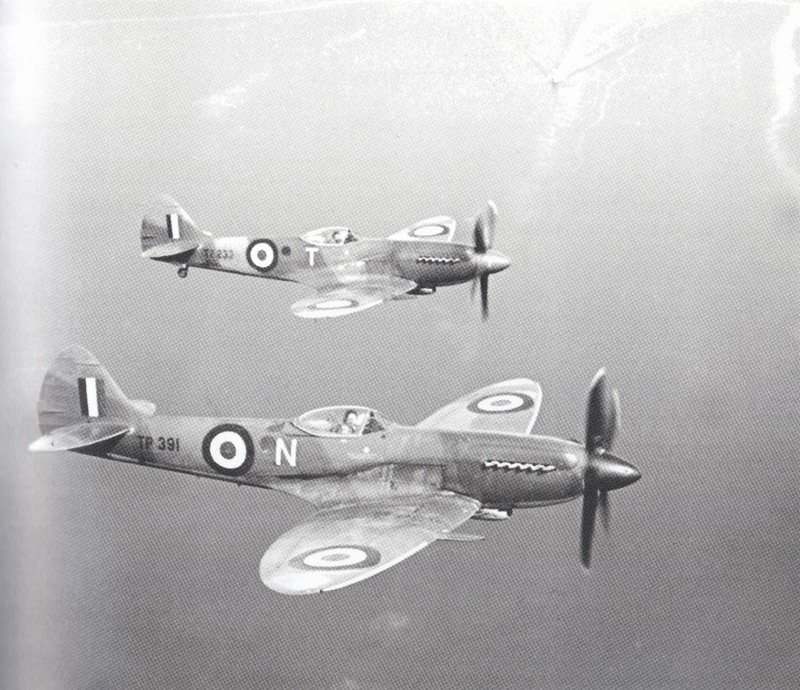 Confrontation between Egypt and the newly established state of Israel soon arose, and in November 1948, 208 Squadron was sent to Fayid in the Canal Zone to reinforce the fighter assets of the RAF’s 205 Group. 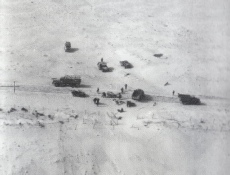 Following Israeli ground incursions into the Sinai, the Squadron flew a series of reconnaissance sorties in the first few days of January 1949. These confirmed the Israeli actions on Egyptian territory. A tactical reconnaissance by four 208 Squadron Spitfires was ordered on 7 January. The pilots had instructions not to cross the border or engage ground targets unless they came under attack. ‘On the morning of 7 January, I led four Spitfires to photograph the Jewish forces in Egypt, two of us flying low, and the other two, flown by McElhaw and Sayers, covering us from 1500 feet. A stron wind had whipped up the sand, making the visibility poor, but not too poor for accurate navigation. I was just completing the photographic run when I felt a hit from ground fire and simultaneously saw my No 2, Pilot II Close, was in flames, having also been hit from the ground. I turned to watch him parachute to the ground, then looked up to see that there were three Spitfires above, not two. I hurriedly transmitted a warning, but it was too late. 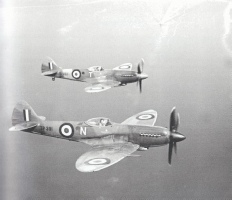 The third Spitfire, an Israeli Spitfire flown by the Canadian war ace, Squadron Leader J H McElroy DFC, shot down the two in front of him in one pass. Sayers was killed; McElhaw baled out and was taken prisoner. Sayers may have seen the approaching Spitfire before McElroy opened fire, but as the Israelis had painted the noses of their aircraft the same red colour as ours, Sayers could well have assumed it was my aircraft that had come up to join them.